Wycombe Toilet Hire is YOUR local toilet cubicle (portaloo type) hire company and because we only operate locally, we offer a service the national companies simply cannot match. You can see our areas of coverage here. We need you to recommend us to others! Under-providing toilet facilities may breach health and safety regulations and cause people to find other solutions, neither of which is advisable and can pose a health risk. As a rule of thumb you need at least one unit for every seven people in a working environment such as a building site. Toilet units can be either mains connected, or more usually, a mobile chemical alternative. As an employer it is essential you provide site personnel with adequate sanitation and washing facilities. 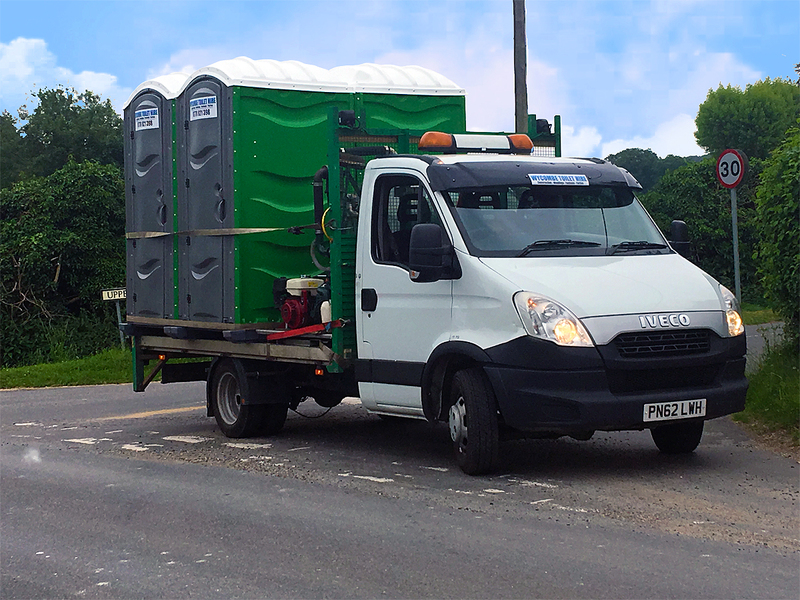 Wycombe Toilet Hire began as an offshoot of the family’s skip hire and grab lorry hire business, which has a long history of providing low cost services to local builders. In our first year we were able to establish ourselves as one of High Wycombe’s main suppliers of mobile, portaloo type, toilets to the construction industry and for private parties and similar functions. If you would like more information about our toilet hire services, or any of the other services provided by our parent company, you can either drop us a line using the enquiries form on our contact page, or call us on either our landline Telephone: 01494 717471 or the Hotline above.